Pavol Breslik is one of the most in-demand lyrical tenors on the world’s operatic stages and in the concert hall. 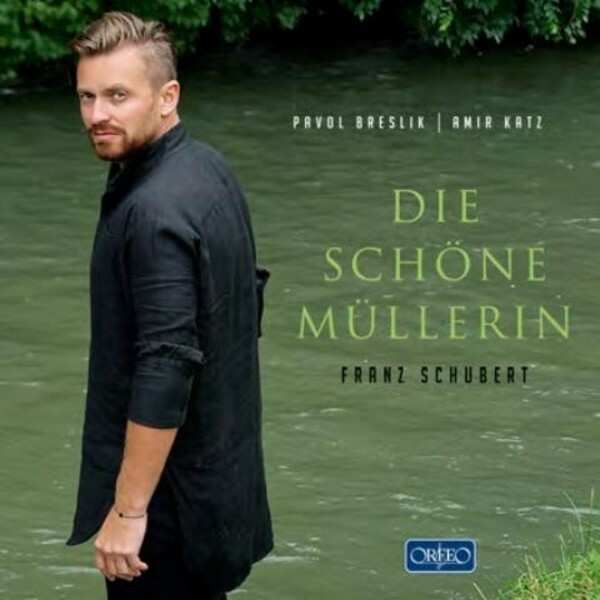 His youthful yet masculine timbre seems almost ideal for Franz Schubert’s 'Die schöne Müllerin', his song cycle to texts by Wilhelm Müller. Breslik is captivating in this new studio recording. He aptly conveys the miller boy’s journey, falling in love with his master’s daughter, then enduring disappointment, despair and ultimately infidelity and betrayal that lead to his abandonment of life. The text is given its full due, while his phrasing is natural and faithful to every nuance and expression, from the fresh attacca opening to the close with its long legato arches of melody in the brook’s lullaby. The brook itself – the miller boy’s constant companion – is just as eloquent in Amir Katz’s piano accompaniment, in all its twists and turns, its irresistible torrents and, at the close, in its serene stasis when all the ripples have been calmed. And all is at the service of the text, with its shifting moods and the trials and tribulations of the miller boy’s emotional life. The overnight success of the tenor Pavol Breslik began in 2005 when he was chosen as the “Most Promising Singer of the Year” in a critics’ survey in the magazine Opernwelt. Highlights of Pavol's recent career have included 'Eugene Onegin' at the Vienna State Opera and the Royal Opera House, Covent Garden, 'Lulu' at the Salzburg Festival, 'La traviata' and 'Otello' for the Bavarian State Opera and 'Così fan tutte' at Covent Garden, as well as at the Metropolitan Opera.